It is not difficult to find a Korean player in J.League: Hwang Ui-jo, Kim Young-gwon, and Oh Jae-suk from Gamba Osaka, Na Sang-ho and Jang Hyun-soo from FC Tokyo, and Kim Seung-gyu at Vissel Kobe – the list can go on and on. This applies to J2 League where a lot of promising young players have been staying. 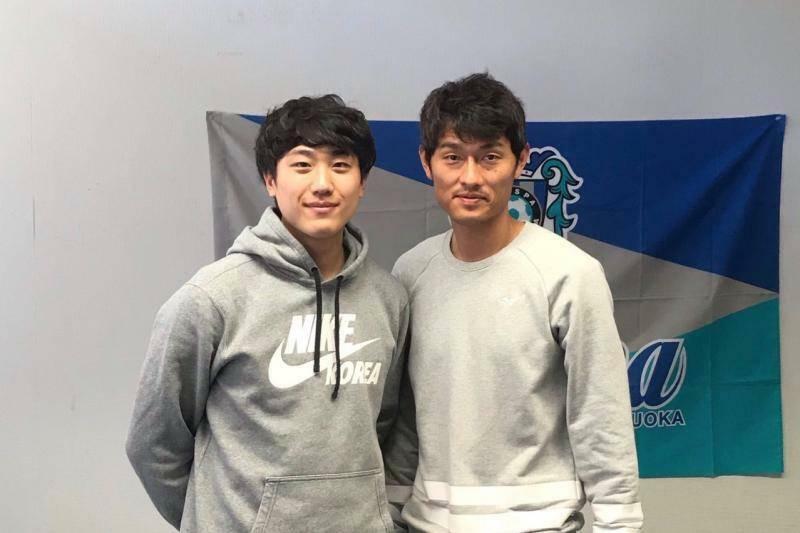 One player, however, joined J2 League after the season started: Yang Dong-hyen, the former Pohang Steelers player who was also the second highest scorer in the 2017 K League. Yang joined Cerezo Osaka after the 2017 season had ended. His first-ever overseas challenge had not been easy. He had scored two goals while playing for 1,446 minutes during the one whole season. It was thus not very surprising there had been a lot of rumours regarding his future. His choice was Avispa Fukuoka in the J2 league. He had not played a single pre-season game as his transfer was complete after the season started but seems to be successfully adjusted to the team, having scored in two consecutive matches. “There is not much difference [between Korea and Japan]; I am not young anymore,” said Yang when asked about his life in Japan. However, he described the difference between the two leagues. “In Korea, the main focus is on power and speed. A lot of pressing through long passes and the second ball with active use of physical abilities is involved during the match. Yang further shared his vision and ambition at his new team. “Avispa was not my first option. I was preparing for another season at Cerezo, but it was not as easy. I didn’t want to give up and go back to Korea, though, as playing overseas is not easy in general. Yang so far scored two goals in the first four matches. The former Pohang star player explained the reason for his good performance this season, especially given that he missed the pre-season. “Training has always been the same. However, it has been easier here as the coach wants me to be where I can score. My teammates have been helping me a lot, too. Yang also thanked his fans. Thanks to his brilliant performance at Pohang, a lot of fans K League fans miss him. When asked about his future, he answered: “I have not thought of future yet. I am here in Japan now, and the system for players to play football has been built well here. I would like to stay here for a long time. The 34-year-old forward mentioned retirement is currently not in his plan. “Retirement is not determined by age. A lot of clubs, especially in Korea, invest in young players to make profits in the future instead of finding veterans.